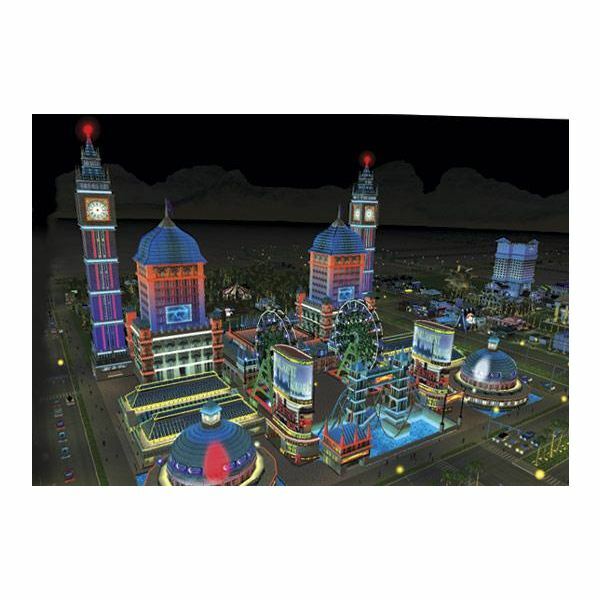 Las Vegas is the ultimate draw for gamblers seeking a wild night of entertainment and this tycoon style management simulation challenges the player to construct a hotel and casino complex on the strip and turn a healthy profit. This game features an overwhelming array of options and a level of depth which goes well beyond the norm for tycoon gaming. This is a single player game with building and management simulation combining to cast you in the role of a Vegas tycoon. You can choose Sandbox Mode or Scenario Mode and with nine scenarios in all and several sandbox maps there is plenty of content here to keep you busy. In Sandbox Mode the developers have given you a host of options so you can set up the game exactly as you’d like; customising settings like your starting cash, number of people, disasters and events. Set on the Las Vegas strip there are various plots of land available and you can purchase an empty lot and get building. The bulk of the game is divided between your lot building overview map where you can place a surprising array of buildings from obvious basics such as the casino and hotel to nightclubs, ice cream parlours, shops, magic shows, lap-dancing bars, wedding chapels and a lot more. Then you can enter the casino to place individual card games, roulette wheels, craps tables, slots and amenities like garbage cans and buffets. You also have to hire staff to take care of the patrons and decorate the place with plants, statues, lights and furniture. The scale is amazing and allows you to micromanage every aspect of your resort. If it all seems a bit overwhelming there is a tutorial mode which kicks off the Scenario Campaign and teaches you the basics. The scenarios gradually ramp up the challenge and give you various problems to deal with. The most important facet of your resort construction is placement and you have to focus on placing things in optimum spots as they will impact on each other in negative ways if you aren’t careful and this will discourage the people from flocking in. This may sound like a strange complaint but I found there was too much going on with this game and it proved to have an extremely steep learning curve. In order to turn a profit you have to get it right first time and the lack of a cancel option when I built something in a daft place left me having to sell it at a loss and made accumulating cash very difficult at first. When you begin to get the hang of the basics it does get a bit easier, but trying to ensure you are dealing with everything in your empire that requires attention feels like hard work. This is a gorgeous game and visually the best rendering of sin city to hit pc gaming. The buildings are nicely modelled and extremely detailed; the city itself is a bustling metropolis with thousands of people walking around and constantly flowing traffic filling the streets. The lighting and bizarre collection of architecture really gives it an authentic feel and there are ten themes available for your resorts from Egyptian to Space Age. You can zoom right in to see individual characters and detailed textures on the gaming tables and slot machines. Everything looks as it should – a garish nightmare designed to part you from your cash! 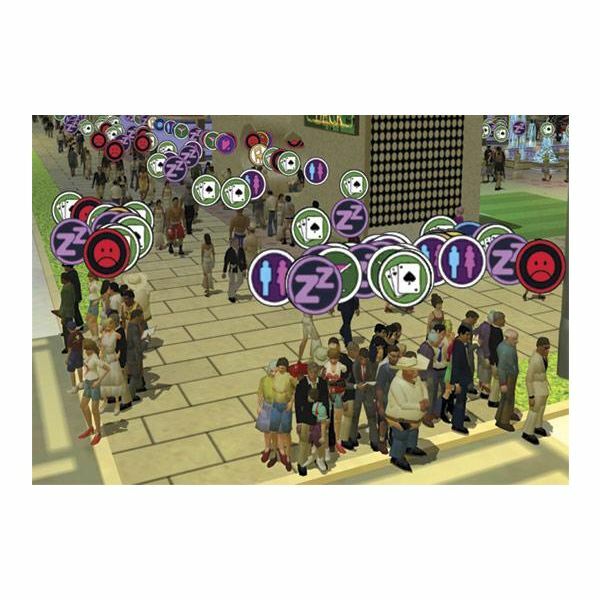 The game features an authentic array of Vegas sounds from the endless churn of the slots to the fireworks displays, the passing traffic and the excited murmur of your patrons. There is also a variety of Vegas themed music playing throughout and cutting from the busy chaotic noise of the casino interior to the street outside provides a jarring contrast which adds some realism to the title. This is a game on an epic scale with top notch graphics so the specs are demanding. If you want the game to run as it should you’ll need a minimum of an 800MHz processor, 32MB 3D graphics card, 256MB RAM and around 1GB of hard drive space. I experienced a few jerky moments on a system better than this and the initial release was a bit unstable although the developers have since released a patch which fixes it up nicely. If you like your tycoon games then you can’t go wrong with this although it makes me wonder about how much detail is too much. The level of depth is amazing but it undoubtedly makes you feel overburdened and even a little stressed at times. This game also has quite a steep learning curve and the challenges are not easy. It looks fantastic, it sounds right and it certainly makes you feel like a Vegas tycoon but the game-play is not entirely intuitive and this is not for the faint of heart. 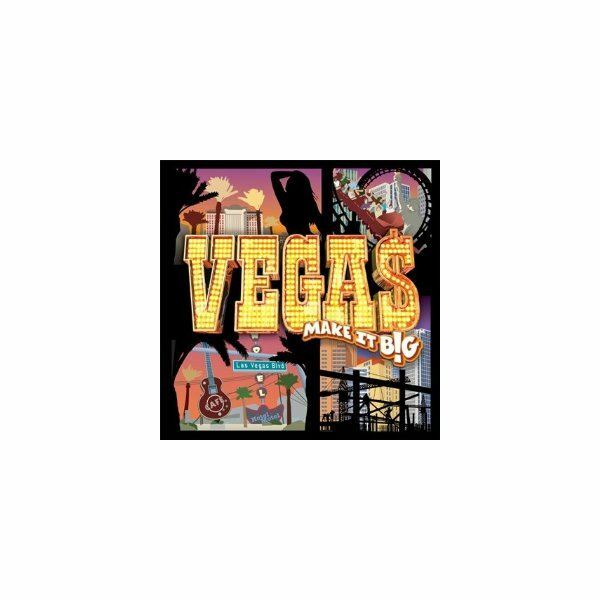 There are loads of Vegas themed building and management simulations on the market and if you want a real challenge and options coming out of your ears then you won’t find a better title than this. Just be warned if you want to make it big in Vegas you’ll have to work hard. If you fancy something a little less challenging check out Casino Empire.